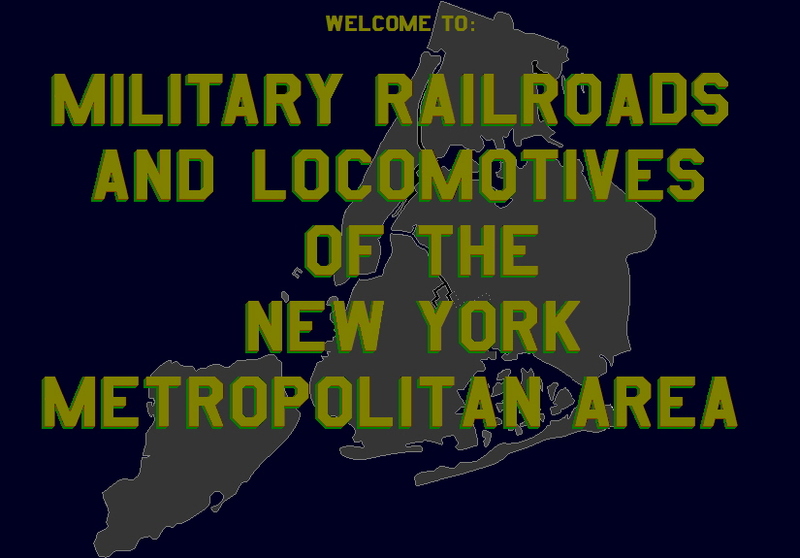 On this website, you will find a history of railroads & respective locomotives that were located on military bases and installations throughout the New York Metropolitan Area. 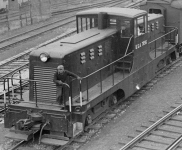 These railways and locomotives served their locations in many ways: some facilities were coastal defense batteries, a few were supply depots, while the Brooklyn Navy Yard was a shipyard. There is not a great deal known about most of their operations. 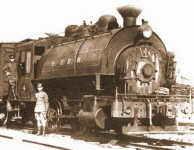 Matter of fact, hardly anything is known about the railways that operated in the Forts, and very little if anything remains to be explored or viewed. 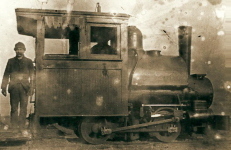 The Governor's Island Railroad is mentioned on several websites, but no longer exists in any form, as with Forts Hamilton, Wadsworth, Schuyler and Terry. Remnants of the Fort Tilden Railroad remain, but little documentation is to be found. For the most part, we are left in a vacuum. The Brooklyn Navy Yard (BNY) however, is literally covered with the remains of the railroad that once operated there, with a great deal of abandoned trackage and structures. This undoubtly is the most researched and documented facility, as Tom Flagg composed an article on the Brooklyn Navy Yard, including the industrial infrastructure (cranes, derricks) and history of the facility in the July - December 2005 / Number 43 issue of Transfer Magazine, published by the Rail Marine Information Group. I highly recommend procuring a copy of this informative issue at www.trainweb.org/rmig. It must also be kept in mind that the Brooklyn Navy Yard rail operation survived after the Government's control, when operation of the BNY trackage was contracted to the Brooklyn Eastern District Terminal. 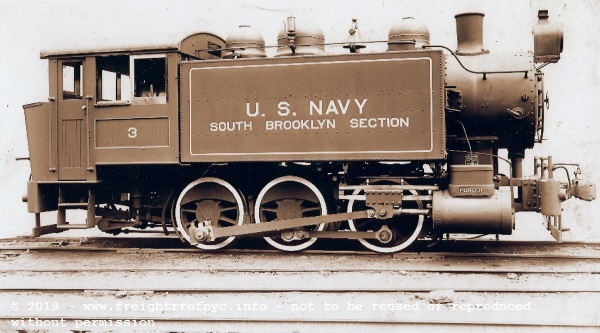 A portion of the BNY railway network was active as late as 1995, when the successor to the BEDT, the New York Cross Harbor RR transported subway cars to and from a transit car builder in residence at the Brooklyn Navy Yard. As far as it is known, only the Brooklyn Navy Yard and Fort Tilden show the physical remains of their railroads. Here, you can actually follow existing trackage and view original structures which remain as well. Furthermore, as Fort Tilden is the only facility that is accessible to general public, I was able to take a great deal of photographs, and which can be viewed in the Fort Tilden chapter of this website. While you can still see the right of ways on Governors Island, all physical evidence of that railroad no longer exist. As for motive power, there are many interesting facts (and questions) that abound regarding these locomotives used at these facilities. Most were of 36" gauge. 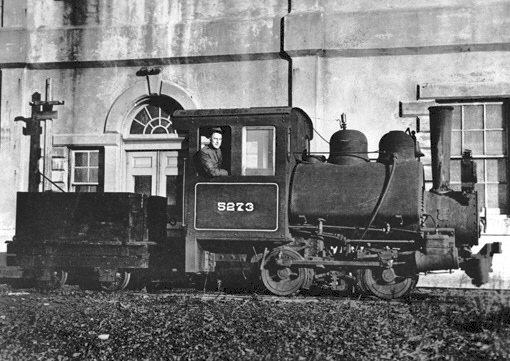 However; the Brooklyn Navy Yard and Governor's Island were standard gauge. 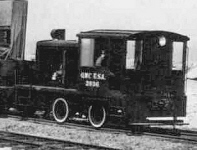 Fort Tilden and Fort Hancock operated both narrow gauge and standard gauge. As for locomotives; we know of steam, diesel - mechanical and diesel - electric locomotives having been used, but in most cases photos of the actual locomotive in use at that location are seldom encountered. With that being said, please enjoy this little known and rarely publicized facet of New York Area railroading! And as with my other websites, all photograph and information contributions are most welcome! Thanks for taking the time to visit this website and don't forget to sign the Guestbook ! I am always interested in procuring more images pertaining to the topics listed here. I would sincerely appreciate any & all photos and images that can be offered. Of course, due provenance will be given! For those of you who are interested! I have been in communication with a member of the US Army at Fort Eustis (US Army Transportation Museum) who is researching the locomotives listed below under a FOIA request. with engine house near the Quartermaster Wharf. 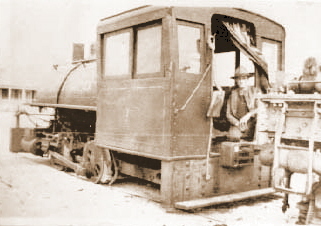 After 1914 apparently engines were ordered in bulk lots and distributed as needed. I forgot to write down the date for the electric but I will advise after I check the Alco & Porter lists to see what I can find. Some locomotives listed in that email, were not yet "discovered" by me; so they were listed under their respective installations. Further updates will be uploaded as warranted. This website is fondly dedicated to the memory of SP4 Fernando DeRubeis, a close family friend, whom I never met. He bravely gave his life for his country. due to Hostile Fire. Body was recovered.